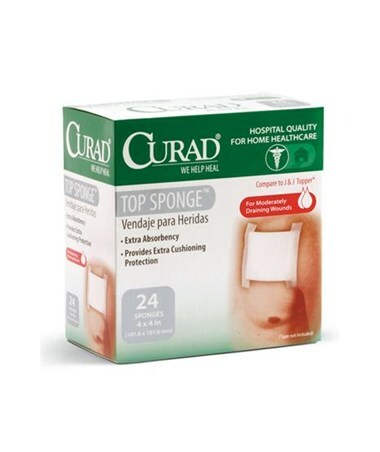 Curad's Sterile Post-Op Top Sponge is for moderately draining wounds and helps reduce the number of dressing changes necessary, and also provides extra comfort and absorbency. 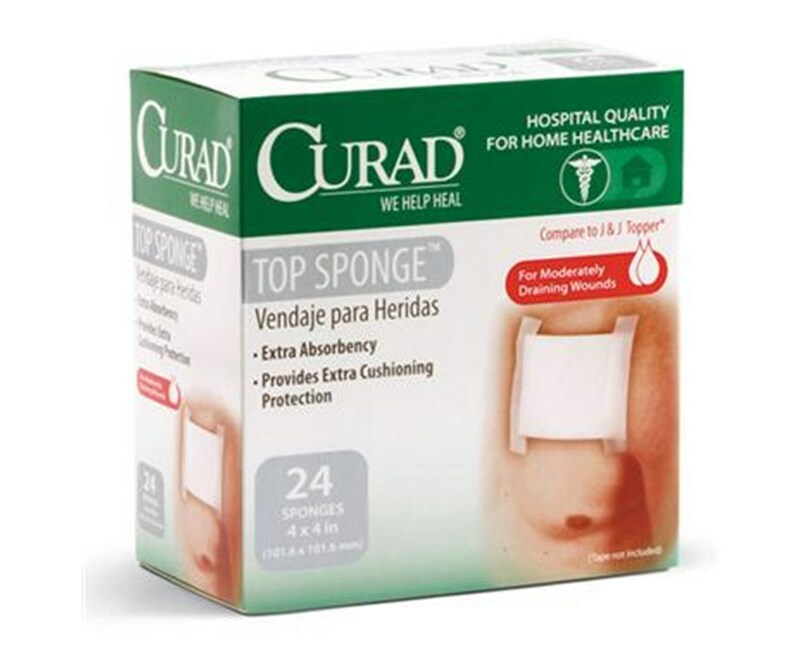 Measuring 4" x 4", the sponge is made of a rayon/polyester blend with cellulose fibers, which helps provide extra cushioning protection. It is also latex-free and sterile.